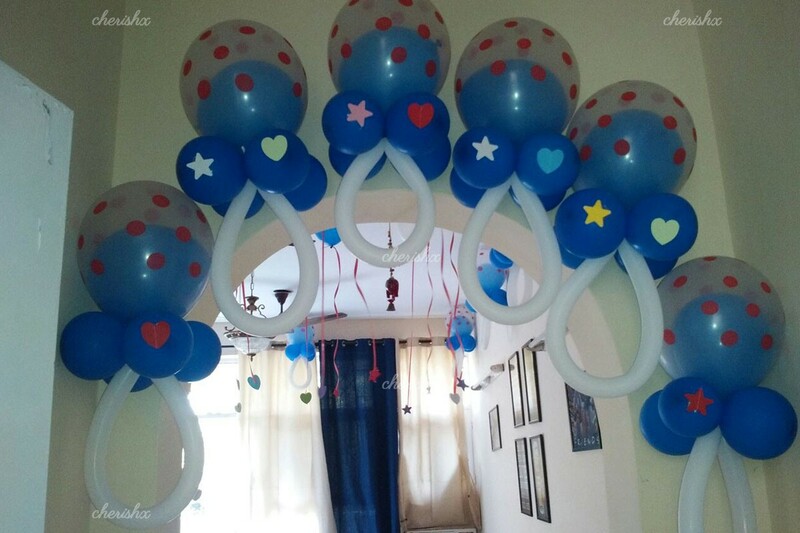 Organize a ‘Baby Shower’, ‘First Birthday’ or a ‘Welcome the Mom and Baby’ party with the help from CherishX artists to transform your home into a carnival filled with balloons, creative “balloon in balloons”, vibrant ribbons, shimmering stars & crescent moons! 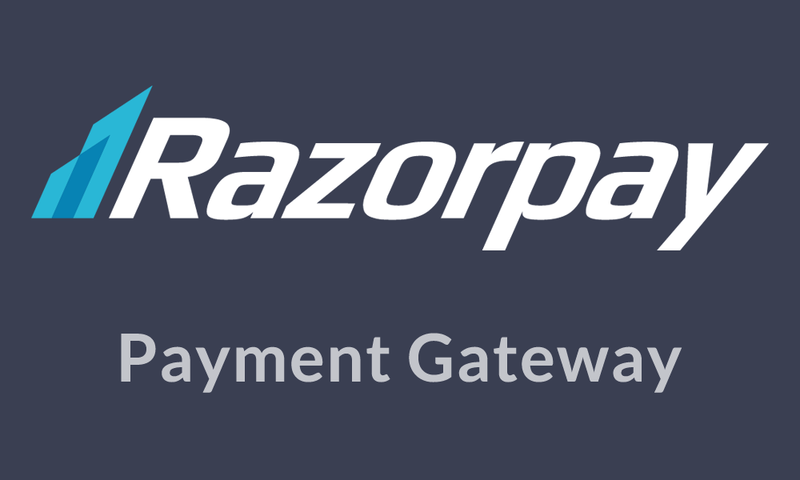 All this can be curated to your taste and can be done in a stealth mode to deliver a surprise. You can schedule a CherishX decoration artist to visit your house in the chosen (2 hours) slot. The slots are spread from morning to late evening - see what works best for you. About 40-50 balloons will be hanging from the ceiling along with ribbons, stars and moon cutouts hanging from them. 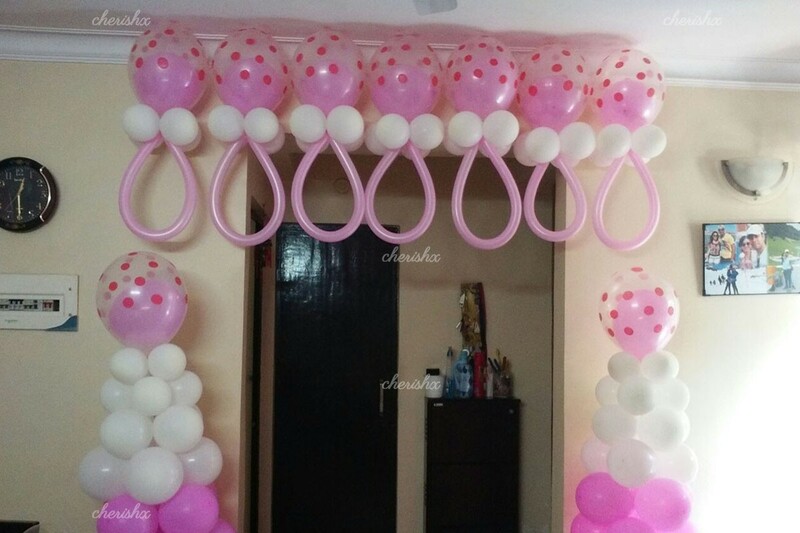 About 150 balloons spread on the floor or in bunches and about 20-30 “balloon in balloons” - these are quite artistic and specifically for baby showers, it shows the resemblance of how a baby is protected inside the mother’s womb. The decoration artist will discuss the exact decoration with you and tailor to your taste and your room. “Baby shower” - This one is all about anticipation. You don’t know it is a girl or a boy, so we suggest you make this a blue, pink & white color themed decoration. “Welcome home Mom & Baby” - We can either go for a blue & white theme for the smart prince or pink & white theme for the cute princess! 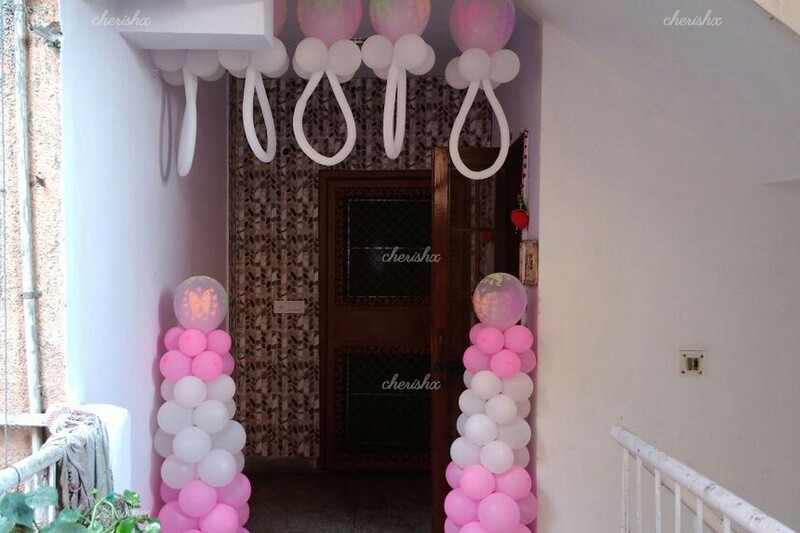 “The First Birthday” - Celebrate the occasion with the blue & white theme for the notorious boy or the pink & white theme for the darling of the house! The ceiling balloons are stuck with removable soft tape. Although, we recommend removing the balloons within the next 24 hours. We don’t use Helium balloons for safety reasons. 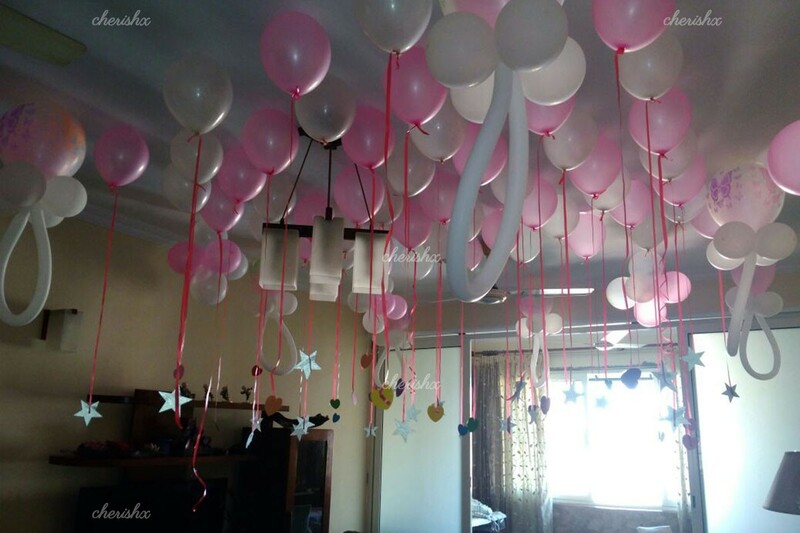 “Add 100 more balloons”: For bigger spaces such as rooftops, large rooms (greater than 15 ft x 15 ft, e.g. living room). 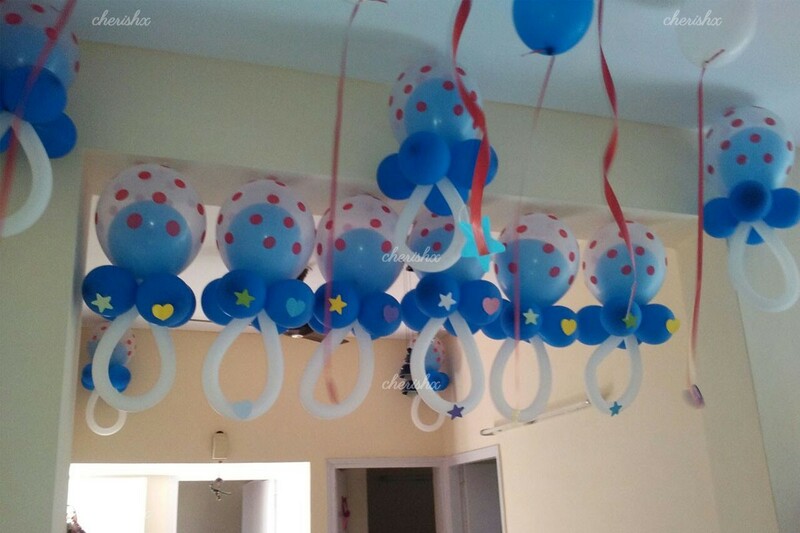 Moreover, the extra balloons can be used to decorate the lobby leading to the room filled surprise balloons. “Cake” or “Designer Cake”: You can order a cake of your choice or go for an extra special designer cake in the shape of a nappy (baby shower), “it is a boy” (welcome home mom & baby event), or princess treasure box (birthday), and many more. Our designer will give you a call to discuss. 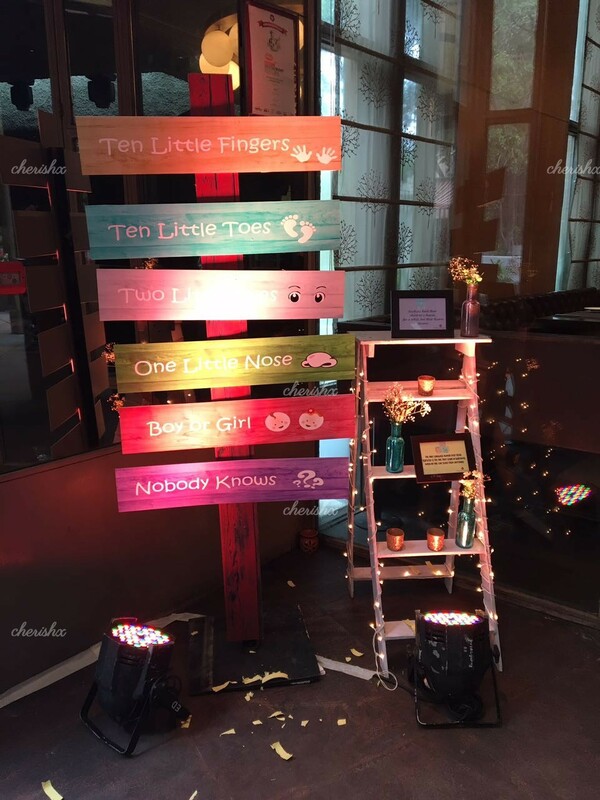 “Printed Photos”: This one always makes the decorations thoughtful and sweet. Send us some sweet, candid, funny pics and we will print them and hang them beautifully from the balloons! “Personalized banner”: A big 6ft x 2ft wall-hanging banner with your message, greetings & cute photo(s). “Guitarist”: For that extra glam touch to your baby shower/birthday party or a sweet twist to welcome home mom & baby event. We will send an artist from a local band to play theme-based / your favorite songs. If you are a fan of photos! make this baby shower more memorable by adding this hot air balloon photo booth!